At the Irish Fair of Minnesota, I love watching the dance schools perform. One of my students recently wrote about Rince na Chroi who’ve been teaching students for 11 years in St. Paul. Love to dance? Rince Na Chroi is for you! Are you interesting in dancing? 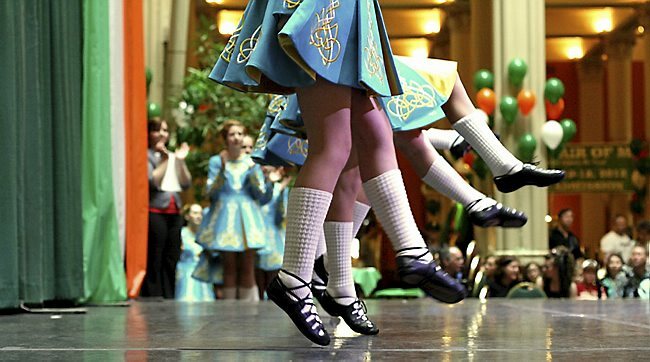 Have you thought about learning Irish dance? Rince na chroi accepts children age three and up. They offer year-round class and have hundreds of performances! As for adult, no worries, they do have adult class where adult can learn the Irish dance as well. Rince na Chroi (pronounced Rink-a na cree), Gaelic for “dance of the heart” was found by Katie Stephens Spangler in February 2003. Rince na Chroi’s purpose is to provide a positive, fun learning atmosphere for all of their students. These dancers are friends, in and out of the classroom. They strive to instill a sense of belonging, school sprite and confidence in each and every Rince na Chroi student. Contact Katie Stephens Spangler via email or call (651) 645-4292 if you are interested in Irish dance classes. Learn more about Rince na Chroi on the web. Excerpted from one of my fantastic’s student’s blogs: Clorblog.wordpress.com at St. Catherine University.